Last edited by hauangua; 05-06-2017 at 01:41 PM. If you don't like colors of the map, disable the mod, delete the Terrain folder from the mod, and enable the mod again with JSGME. The problem may be that you don't see very well the grids, this is my case (even with stock colors as on the pic below). Last edited by Kendras; 05-06-2017 at 03:46 PM. Most graphic editors have field for the colors in hex values. If not, the net is full of such converters. The words in .exe are reversed, you need to read backwards. Be careful to not revers a byte value itself, B4 must stay B4 not 4B. I search for feeling of nautical charts, not a geographic map. 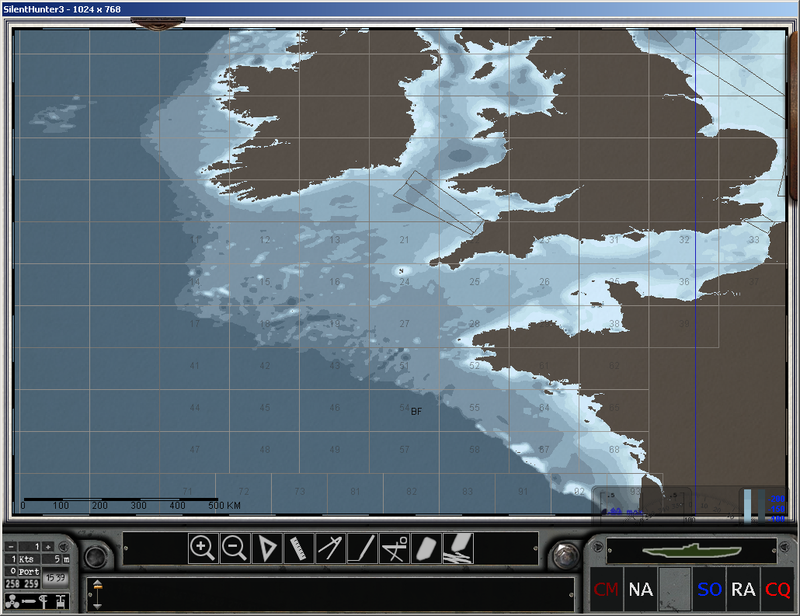 I play without my boat on map, so I do a lot of drawing/ploting, and I need clean map without distractions. But, the point is, that all these are easy customisable and everyone may do their own variants. I understand and you are right ... no need geographic map!! me too wanted play "real nav" without sub or contact on the map... and I ask you... you how do you triangulate your position? using "lighthouse mod for nygm"?... or? Roger that ! Thank you ! So, you have only 3 depth levels on the map ? Here are the depth values I've found with the vanilla colors. In red are the values I've fixed for each depth color level. Last edited by Kendras; 05-08-2017 at 07:15 AM. "You use "H.Sie fixes" and "Stiebler add-on": you take your original sh3.exe and patch it with "H.Sie fixes" and "Stiebler add-on", according to Stiebler's instructions. After that you copy this already patched sh3.exe file and patch it with Enhanced Map Drawing." Is it possible to first patch Sh3.exe with Enhanced Map Drawing, and then patch it with H.Sie fixes and Stiebler add-on ? Near the shore, I use dead reckoning and fixes by a whole set of principles for coastal navigation, that I know. You can teach yourself from the internet. Far from the shore I use pseudo navigation. 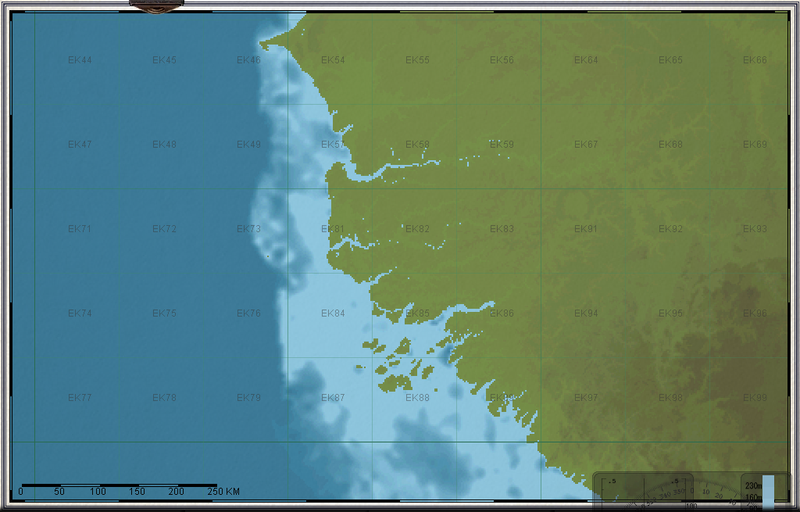 Dead reckoning again, plus making fixes through ctrl+left click. If the weather get worse and I don't see the sky, I don't make position fix and continue with dead reckoning. This requires self control, nothing can stop you to make the fix, but don't do it. And, the most fun part is the plotting of other ships. Here you come to the world of Relative motion. 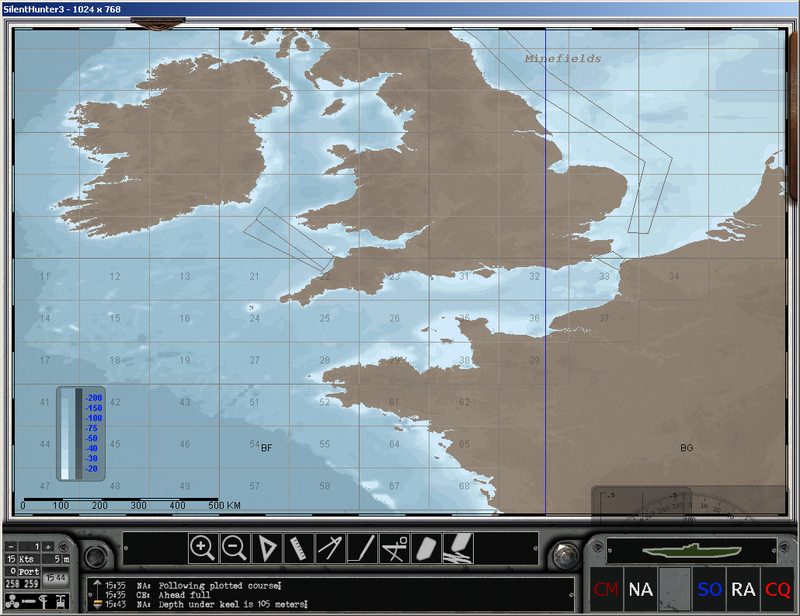 Learn things like, Maneuvering board and Radar plotting (even without radar it have all bunch of applications). And here is the result with 9 depth levels. I don't like dark for the deeper, the feeling of nautical chart is lost, and is impractical for drawing/plotting. But, if you are happy with this, all is good. I don't impose my opinion. No, don't do that. H.Sie patch will not recognize the sh3.exe after that. I don't like dark for the deeper, is impractical for drawing/plotting. It depends on the color of the lines ! One day, you should make a video about all that. I can't express myself in english. And honestly, lately I only dream how I play. A little time that I have was spend for changing things in my installation. great work! It helps a lot for playing with real navigation (you can now use the course line to keep your course without showing your position)! Last edited by LGN1; 05-08-2017 at 02:08 PM. Hi Tycho, great work! It helps a lot for playing with real navigation (you can now use the course line to keep your course without showing your position)! Hi LGN1, glad to see you. Good idea, will make it for myself. In SH3 there have some kind of drift. If you are sailing only with course tool, you will not notice, because the boat follow the line. But, if you sail without the tool, you will notice, that after time the boat deviated from that course. So, how is it possible to not show your position (if your u-boot icon is hidden on the nav map) if you're using the course tool ?